Hello, recently, i have suspicious and strange problem. 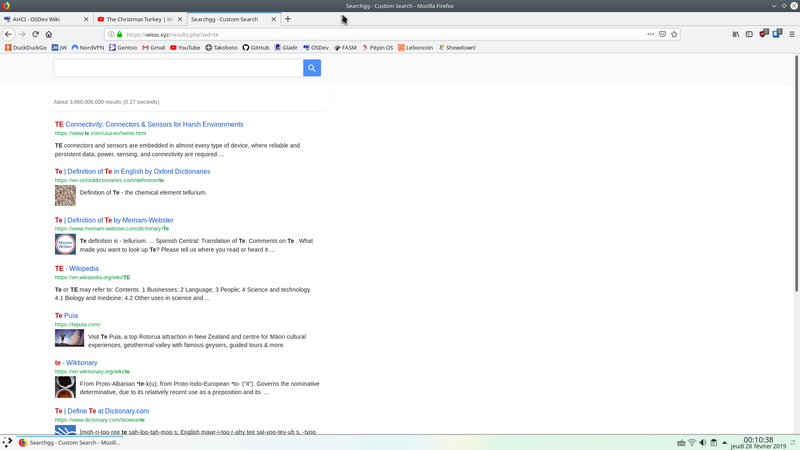 When i launch any search with mozilla, my search results are redirecting to wisss.xyz. I suspect security problem, but i'm not an expert. Yes, with duckduckgo,google, or other, the same problem.My search is redirecting. I have found the source of problem. I don't know why, but i have extension he do that. Solved ! No addon that does things like that behind your back is ever necessary. Report it as malware if you have the time. Report it as malware if you have the time.